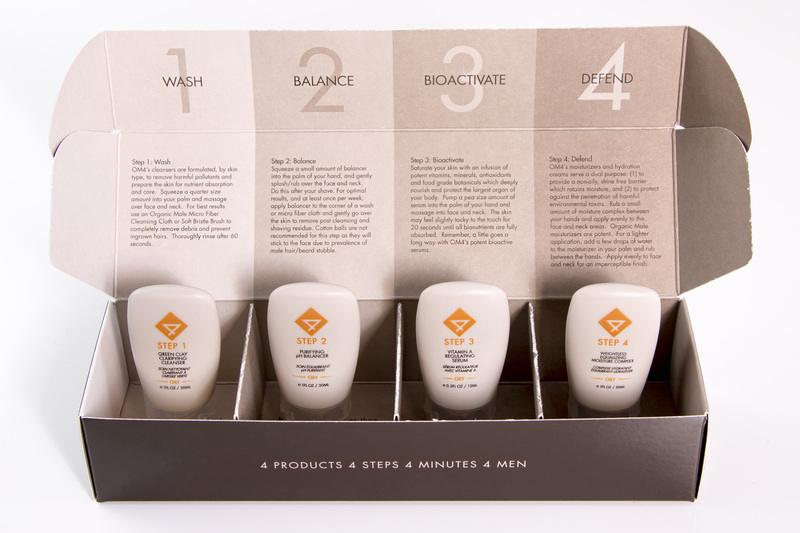 Finally, for the first time ever, a targeted men’s skincare line. Sure, there are lots of products made specifically for men, but this collection goes beyond just being for a guy. 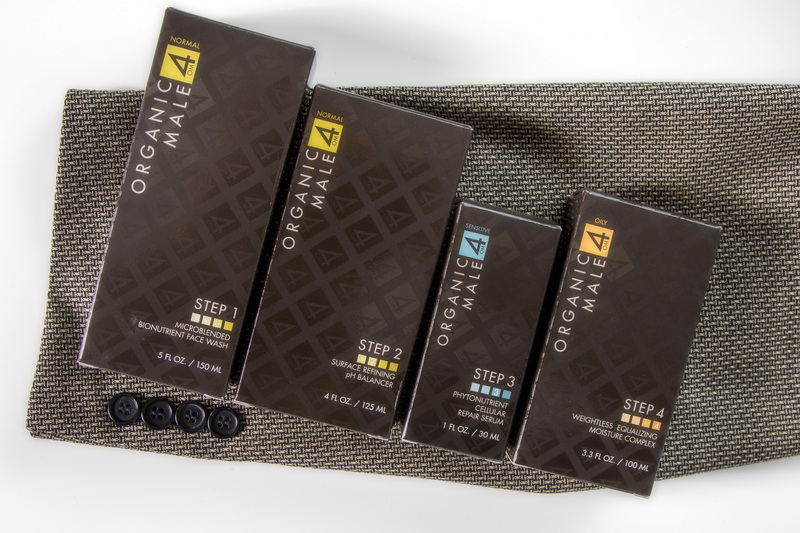 OM4 Organic Male is a serious breakthrough – it addresses the unique needs of a man’s skin (just like nearly all women’s lines). It’s genius really, and truthfully surprising no one has thought of it before now. A complete organic system for men. Way to go, OM4! Their approach is simple: 4 products, 4 steps, 4 minutes, 4 men. OM4 has made it really easy for guys. But, keep in mind, ladies; they’ve never had to identify their skin type, so they might need your help. (However, boys, I have complete confidence you can do it on your own.) It is broken down into 4 color-coded categories – sensitive, oily, normal and dry. Choose the Sensitive Skin Collection if the skin gets irritated by most products. It’s made of natural ingredients from water – marine botanicals are known to soothe and calm. Pick the Oily Skin Collection if there is a constant shiny look and greasy feeling on the face. It’s packed with ingredients from air – eucalyptus, lavender and other natural stuff to keep oil in check without stripping the skin of essential moisture. Go with the Normal Skin Collection if, well, the skin is pretty ‘normal’ and/or combination (so, mostly normal but maybe some oiliness on the nose or forehead). Ingredients from earth, like berries and grains, gently protect and lightly moisturize. The Dry Skin Collection is perfect for thirsty skin, skin that’s rough or flaky. It’s made from desert plants, including cactus aloe and ginger that are super hydrating. Now the collection is chosen. Then, the 4 steps: wash, balance, bioactivate and defend. And boom, done. The Encore Collection is for all skin types and meant to enhance the 4-step system. It has products to treat specific concerns with the skin, eyes, hands and feet. Brilliant! Targeted men’s skincare. Paraben-free, cruelty-free, FDA organic OM4 is skincare 4 men of the world. Oh, and I must give a special shout-out to all the great dads out there – Happy Father’s Day! This entry was posted in men's gifts, men's skincare, organic skincare and tagged gifts for men, men's products, targeted skincare. Bookmark the permalink.